Perhaps of the most surprising (and edifying) aspect of the Sermon on the Mount is the emphasis Jesus makes on his Father in heaven. While we may consider the Sermon as a explanation of the Law (see 5:17–48), or instructions for true piety (see 6:1–18), or a warning to walk in the true way (see 7:13–28), the heartbeat of the Sermon is a love for the Father. And more than that, the Sermon is about how disciples of Christ might know and enjoy the Father’s love. The importance of this Father-centered vision of the Sermon cannot be understated. As John 14:6 indicates, Jesus came to bring us to the Father. Likewise, Matthew’s own Gospel identifies how Jesus seeks to reveal the Father to those whom the Father has given (see above, Matthew 11:25–27). Therefore, it is worth noting how in his first discourse, the Father plays a prominent role. In what follows, I’ve notated twelve truths about what Jesus tells us about his Father and his Father’s love for those who seek first the kingdom of God and his righteousness. 1. Jesus speaks to his disciples, the very ones who have left their fathers behind. There is immense comfort in knowing that in leaving family, friends, and fathers behind, Christ’s disciples will be more than compensated by an intimate relationship with their heavenly Father. 2. Those who make peace (like their Father in heaven), will be called sons of God. What proves our allegiance to God is a family resemblance to make peace. Christ is the great peacemaker, and we who follow in his ways bear witness that God is our Father in heaven. 3. As disciples of Christ walk in righteousness they glorify their Father in heaven. Just as obedient sons and daughters bring joy and honor to their earthly fathers, so children of God will glorify him as they do good, like he does. 4. Love for the unloveable and especially love for our enemies displays the Father’s love. This verse comes as the final of six statements on the Law in Matthew 5:21–48. Clearly, love like our father in heaven is what fulfills the law. 5. The disciples calling is to be perfect like our heavenly father is perfect. The word perfect leads us astray on this verse. The word for perfect (teleios) is better rendered “complete” or “whole,” and carries forth the idea of maturity more than philosophic perfect. God the Father is perfect in every way, but that word (in our English understanding) tends to confuse the picture. The goal is not rigid perfection, but rather that the righteousness, love, and peace that characterize the father would be true and increasing in the disciples of Christ. 6. Righteous living is not for the fame, glory, or praise of men. This verse opens a section on true worship/piety. The goal in all three phases (giving, praying, fasting) is intimacy with the Father in heaven. 7. The Father will reward those who give in secret, pray in secret, and fast in secret. 3 But when you give to the needy, do not let your left hand know what your right hand is doing, 4 so that your giving may be in secret. And your Father who sees in secret will reward you. This, in my estimation, is the main point of the sermon. What is the goal of the Sermon? To commune in secret with our heavenly Father. He is our great reward and Jesus is teaching us how to know and enjoy him. 8. Intimacy with the Father is the center of the Sermon on the Mount. This model prayer addresses the Father and teaches the children of God how to long for his glory and live with dependence on him. Essentially, the Lord’s Prayer is less about repeating mindlessly various petitions; it is about seeking and sharing the Father’s heart. 9. Confidence in the Father is the foundation of prayer. And when you pray, do not heap up empty phrases as the Gentiles do, for they think that they will be heard for their many words. 8 Do not be like them, for your Father knows what you need before you ask him. As with the Lord’s Prayer, communion with the Father is the chief motivation for prayer. Jesus teaches us that when we approach God, we can trust him as a Father who loves us. He is not a distant deity we must work to impress; he is a Father primed to care for his children. 10. Anxiety comes when we don’t know and trust our heavenly Father. The converse of trusting prayer is anxiety. Yet, Jesus teaches us again that with our heavenly Father we do not need to run around worried about tomorrow. Rather, we can trust him for all things. And when we start to fear, we can again return to prayer. 11. Salvation does not depend on doing the works of the law (impersonal rule-keeping), it depends on knowing the Father (personal knowledge). There is a great measure of warning in this verse: Jesus indicates that it is possible to do works for God, all the while not knowing him. Thus, the disciples' chief aim is not working for God, but knowing him as a loving Father. All good works will flow from that starting point. 12. Following Jesus means prioritizing the Father above all. Finally, just after the Sermon on the Mount, we find another “hard saying” of Jesus. He calls his disciples to “leave the dead to bury their own dead,” and he sets this in the context of families and fathers. While it is too much to say that Jesus is teaching a callousness towards earthly fathers (see Mark 7:1–13), he is saying that in following him (Christ) our first priority is our heavenly father. Indeed, this is the teaching of the Sermon on the Mount: Seek first the kingdom of God and his righteousness! And when we embrace this call, it leads us to know and enjoy the Father’s love, and with that infinite supply of grace, we are equipped to do all Jesus commands in the Sermon. In the end, one of the things we learn from hearing Jesus’ emphasis on the Father is to remember that any Christ-centered approach to the Bible must bring us to the Father. Just as the Father created the world to glorify his Son (Col 1:15–20), and he sent his Son into the world in order to glorify his name (see John 17 and Philippians 2:5–11), so Jesus as the obedient Son came to magnify the glory of the Father. Hence, a true Christ-centered approach to the Scriptures is one that does not end with the Son. Rather, in seeing how all roads (in the Bible) lead to Christ, we see that Christ has come to lead us to the Father. 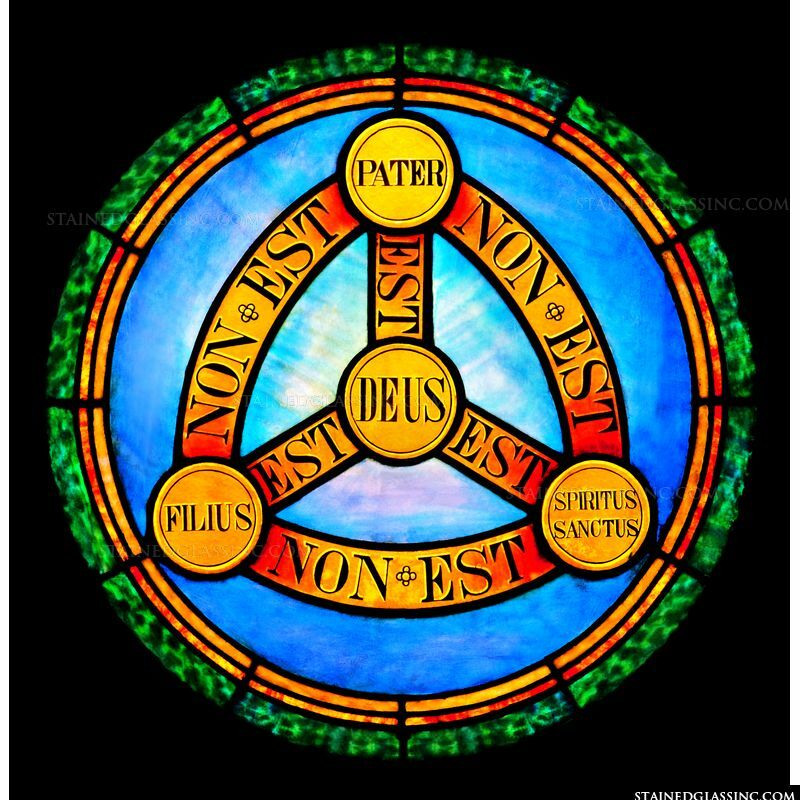 Indeed, the Christian religion is one established by a triune God. And thus, when we learn to see that all Scripture speaks of Christ (John 5:39), we also discover that all Christ says leads us to the Father. And lest, we think for a moment that the Holy Spirit is neglected, we remember that it is the Spirit of God, sent by the Son, who comes and enables us to perceive these truths. Indeed, a Father-centered approach to the Sermon on the Mount is the fitting and fulfilling complement to a Christ-centered approach to the whole Bible. With that in mind, let us continue to draw near to the Father, through the Son, by means of the Holy Spirit.